Looking for grocery stores near Duck NC? 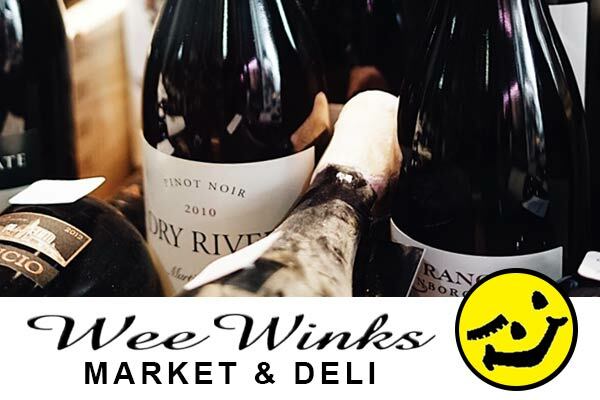 Look no further than Wee Winks Market and Deli, your one stop shop in Duck! Duck's first and original beach shop, Duck NC grocery store and deli, Wee Winks Market has been serving the town of Duck for over 40 years! We offer a wide selection of grocery items, including beer and wine, snacks, drinks, ice, bread, milk, cereal, over-the-counter medicines, magazines and newspapers, cleaning supplies, suntan lotion and much more. You’ll find everything you need for the beach… or your beach house! We even have Outer Banks souvenirs for family and friends back home. The Duck NC deli at Wee Winks boasts an assortment of Thumann’s deli meats and gourmet and imported cheeses, prepared foods, and scratch-made cakes and baked goods. Start your morning with fresh brewed Duck NC coffee, breakfast sandwiches and pastries, or stock up on made-to-order sandwiches and salads for your beach picnic. Our selection of Hereford steaks, hamburger meat and chicken is perfect for the family cookout. We even carry gluten-free items. But it doesn't stop there! Duck NC beer and wine lovers can also rejoice. Wee Winks Market and Deli has you covered with a wide variety of craft beers and the largest selection of wine in Duck NC. Stop in today to see what’s in stock. “Duck in and get your groceries in a Wink” from the original Duck NC grocery store!